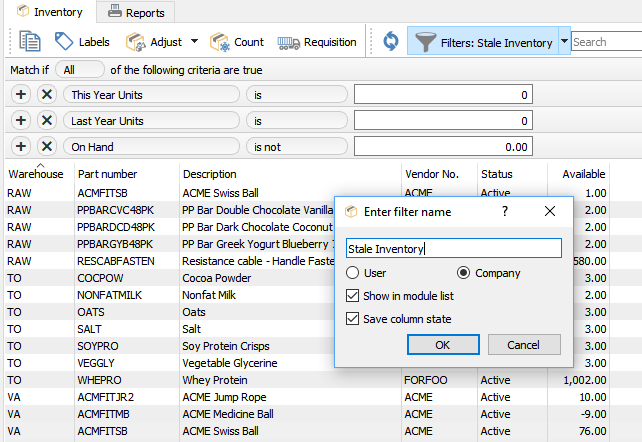 Filters can be saved and include the actual filter, the columns selected, the column position and the sort order. Add Filter – Adds another filter selection. Save Default – Once a filter an/or column layout is selected the user can click ‘Save Default’ and then every time they enter this module this is the layout that will be presented. It does not have to be given a name so therefore does not have to be selected. Remove Default – Removes a default that was previously set. Save Preset – Save a filter and/or column layout. User will be asked to give it a name and if they want it to be just for the user or for everyone in the company. *NOTE: The user must have permission to create company filters in Edit/Users/General. Show in Module List – Select this to add the filter to the main menu on the left. Once added it will be indented under the module icon. The list can be accessed by clicking the arrow to the left of the icon. Save Column State – The selected column position and size will be saved. 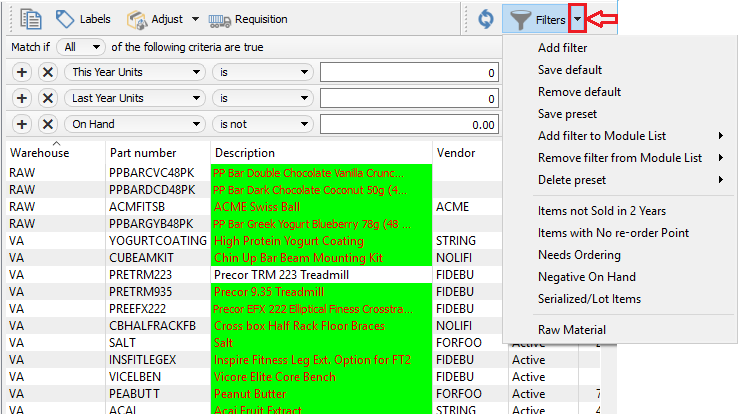 Remove Filter From Module List – Removes the preset filter from the list. Delete Preset – Deletes the preset filter. Filter List – Shows the list of saved filters. 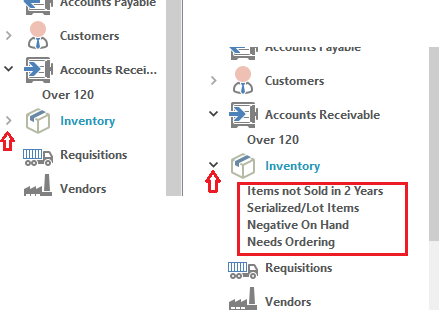 *NOTE: The ‘Company Filters’ save at the end of the list separated from the user filters by a horizontal line.